I have an HTC Windows Mobile phone (touch screen + keyboard). For the last several weeks, I’ve been using a trial version of Twikini to access my Twitter stream. I really got to like it. There are a few things I’d like improved. For example, on refresh it seems to have to get the whole stream and reload it rather than just getting updates since the last request. Also, it does a timeline refresh after I tweet instead of just adding mine to the list on the client side. But aside from those couple of performance things, it’s pretty slick and simple. I liked it enough to be really disappointed when it expired and I remembered it was a trial version of non-free software. It’s cost is reasonable at about $5, but they also have an option where I can get a licensed copy of the program by blogging about it. So that’s what I’m doing here. I like it. I recommend it. If you have a Windows Mobile phone and use Twitter, you should give it a shot. This is the fourth in my “Rules to Live By” series. Like every other professional, in every other field, over the years I’ve picked up a lot of things that make my life easier, or better, both professionally and personally. Most of these things can be summarized in a sentence or two, and I’ve decided to call them “Rules to Live By”. As much as any other reason, they are here to remind myself of things that I’ve decided to believe in, even if I don’t feel like it one day. 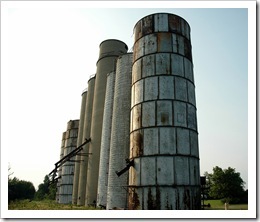 Smart is sometimes stored in silos. I was sitting at the keyboard and realized that I wasn’t sure how to spell a certain word I wanted to use. It’s a common enough word, and I’ve said it many times, but I don’t know that I’ve ever written it. When I started to think about it, I thought of a number of other similar words – words I should know how to spell, but am not sure I can. To be honest, it made me feel stupid. I know I am not a stupid person. I work in a technical field (writing software) and have a degree in Applied Mathematics. I am a successful professional. I run a small business outside of my day job. I manage a large community organization. None of these things makes me special, but they at least make me “not stupid”. I don’t know a little bit about everything. I don’t even know a little bit about many things (in the grand scheme of all things that are things and all knowledge that is to be known). I know a little about a few things. I know a lot about even fewer things. You don’t know a little bit about everything. You don’t even know a little bit about many things (in the grand scheme of all things that are things and all knowledge that is to be known). You know a little about a few things. You know a lot about even fewer things. My things may or may not be the same as your things. I know things you don’t know. You know things I don’t know. Neither of us is stupid because of this. At various times in my past, I’ve mentally dismissed someone as stupid because of a gap between our silos of knowledge. It’s not fair to either of us. I may act differently, even offensively, toward them and I may never learn from them what knowledge they do have in their silo. How might things be different if I shared what was in my silo? This is obvious, I know. It’s not some big secret that I’ve revealed. It’s just something to think about that I wasn’t thinking about. By the way, the word was “therapeutic” – that crazy “eu” combination is a killer for me.